From the restaurateur who’s opening her doors for the last time, to the family whose car disappears, 12 STORIES OF CHRISTMAS brings tales that inspire, offer a new perspective, tug the heartstrings and reinforce the reason we celebrate Christmas. The engaging foreword by David Jeremiah, evangelical Christian author and senior pastor of Shadow Mountain Community Church, sets the tone for these enchanting read-by-the-fire stories. 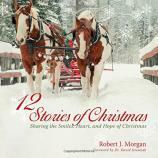 Each is an original work of fiction by author Robert J. Morgan, a pastor who writes one story each year to share with his Nashville congregation on Christmas Eve. Morgan says his tales were inspired by the stories Jesus would tell, and wrote them so that young and old alike would enjoy them and see the message within. Beautiful photos on the cover and spread throughout the book provide the sweet frosting on this delicious tome. "Filled with charming tales that demonstrate God’s presence in our lives, it is a beautiful book to read and share with friends and family." Once readers move past the foreword, they begin their story journey with “That’s My Boy,” set in the tranquil beauty of alpine Germany. Here we meet restaurateur Ana, who is serving food in her beloved restaurant for the last time. Knowing that this Christmas Eve marks the end of her days as a chef, she wistfully greets guests as they arrive by sleigh. First the opera star, then the army private with his rich aunt, next the medical school dropout and her photographer brother…and so it goes until all the tables are occupied. Delicious aromas fill the air as dinners are served, but the festive atmosphere soon erupts with a series of calamities. When it appears that the chaotic situation is beyond repair, an unexpected response from the guests provides an unforeseen twist. Morgan next introduces readers to an American family shopping on Christmas Eve day in 1942. After purchasing one simple gift for each family member, they return to the parking lot to discover that their car has gone missing. A search of the lot produces a similar vehicle, which opens with their key. Inside, the registration papers lead them to an old woman, whose age has muddled her mind. Delighted that her “family” has come to share Christmas Eve dinner with her, she welcomes the surprised trio, beginning a surprising relationship borne of unforeseen circumstances. Skipping ahead to the eighth story, “A Blue Danube Christmas,” readers will meet Blue, a Slovakian mutt who belongs to 13-year-old Anton and his older brother. While Anton and Blue wander the streets looking for discarded items to decorate their little Christmas tree, they meet a woman who is excited about her bone-carved baby Jesus. In moments, the small cherished figurine is in Blue’s mouth as he darts toward the Danube river. The chaos that follows marks the beginning of a newfound friendship and a new perspective on the meaning of Christmas. The book concludes with “Sugarplum and the Christmas Cradle,” in which newlyweds J.B. and Sugarplum are expecting their first child. As J.B. lovingly crafts a cradle for his unborn baby boy, he and Sugarplum anxiously anticipate the joys of parenthood. The cradle, however, is never used, and the couple finds parenthood a far different experience than they ever could have imagined. 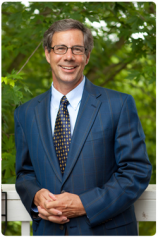 Award-winning author Robert J. Morgan has been pastor of The Donelson Fellowship for 35 years and has numerous published books, including THE RED SEA RULES, THEN SINGS MY SOUL and many others. 12 STORIES OF CHRISTMAS is his only fictional title. Filled with charming tales that demonstrate God’s presence in our lives, it is a beautiful book to read and share with friends and family.